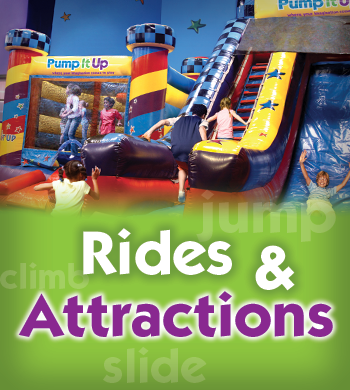 Get Jumpin' on our awesome Rides and Attractions! And Guess what they are all NEW! Parents, did you know you can jump too? Check out what we have to offer! Have you ever seen Wipe Out? 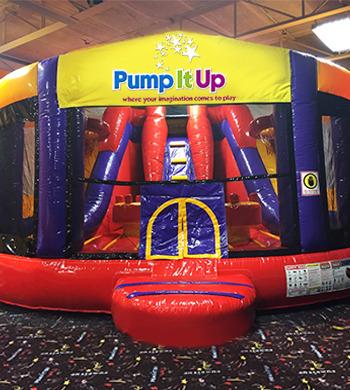 Get to Pump It Up and try it today! Do you think you can make it across? 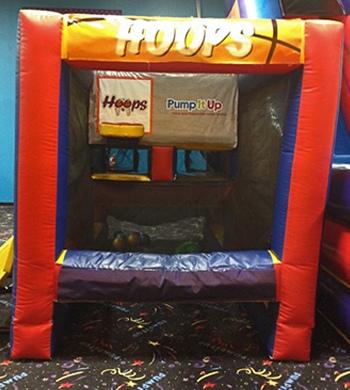 Come in and shoot hoops with your friends, play soccer, or just bounce! This bouncer is huge with so much to do!! When your small, everything looks larger than life! 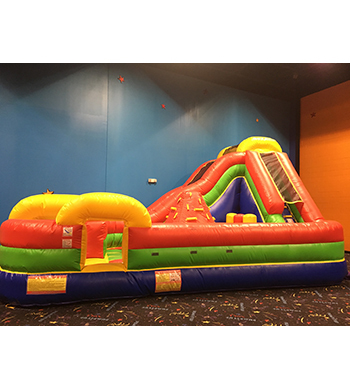 The toddler climb is meant for the little ones to explore an inflatable world of obstacles and slides. Climb in and have a blast! 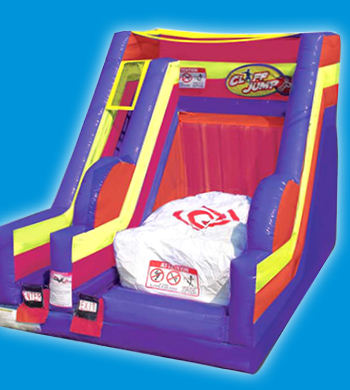 Equiped with an awesome slide to get out of this whacky inflatable! 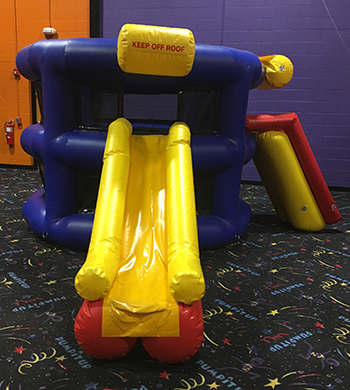 Slide, climb, or jump! This ride has it all! Come check out our upside down slide, the Slippery Slope. 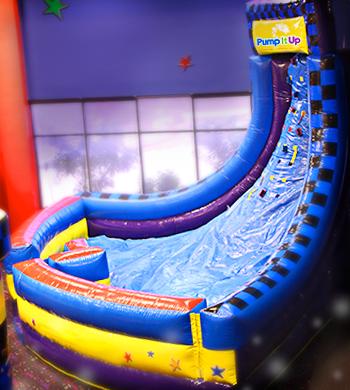 Compete with your friends to see who can scale the slope and be the first to grab the flag at the top! 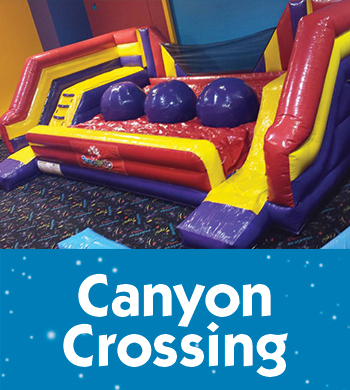 Will you conquer the slope and be the victor? Jump off if you dare! *Must be 48 inches to test out this ride! Compete with a one on one challenge in holleyball! How many hoops can you make? 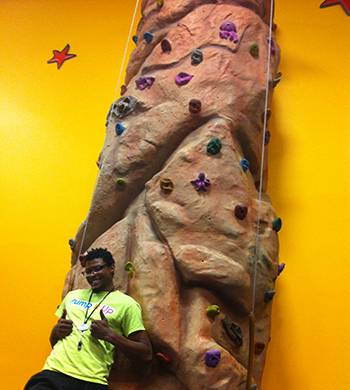 Enjoy our three course Rock Climbing Wall. Kids will be safely put into a harness by our trained staff and up they go. 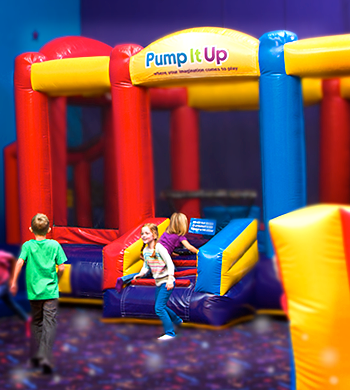 Kids will want to go again and again! Parent's, don't worry! It's big enough for you too. Everyone can enjoy climbing up our 20 foot wall. Turn down the lights and turn up the fun! 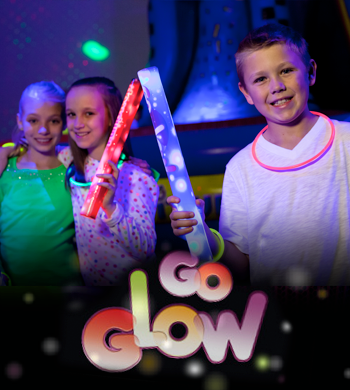 Check out our Glow feature where the arenas are transformed into a GLOW Experience with Special Effects Lights!! Great for ages 7 & up! Can be added on to any party experience. 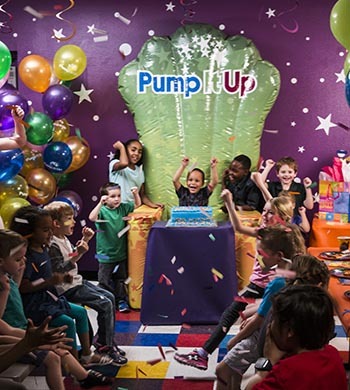 Also, make it extra special with upgrading to the Glow Balloon Drop with 150 glow balloons descending from the ceiling!